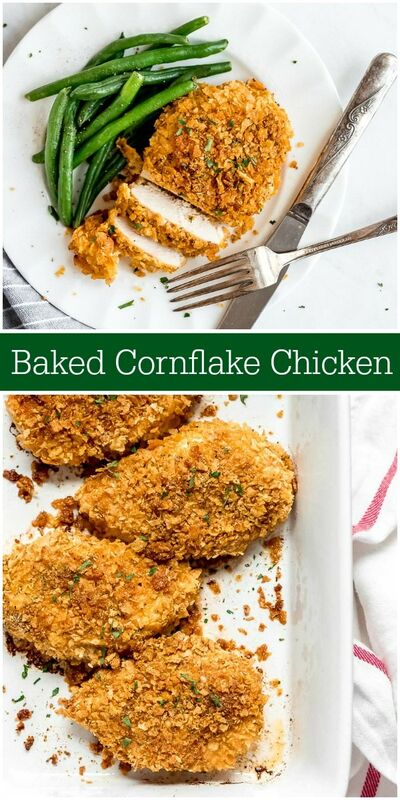 Baked Cornflake Chicken is so easy and delicious! 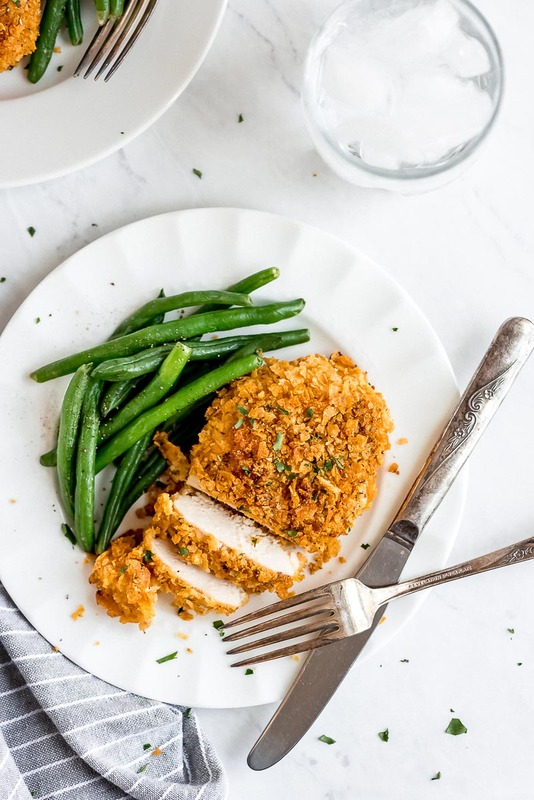 This tender juicy chicken with a perfectly crispy coating is sure to become a family favorite! 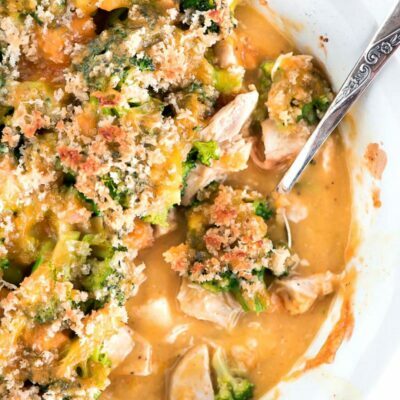 Chicken is my go to protein for dinner because it’s easy, affordable, lean, and so versatile. 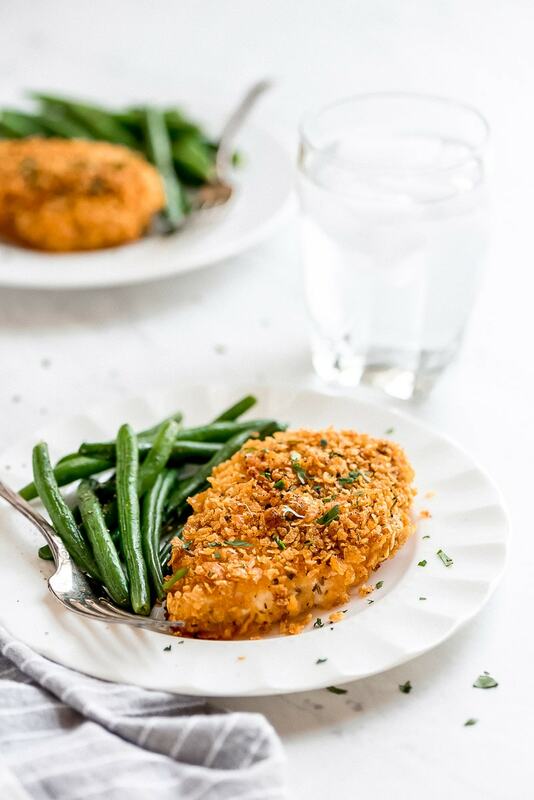 Baked Cornflake Chicken is one of our favorite chicken dishes because who doesn’t love a crispy coated piece of tender juicy chicken?! Crush up the cornflakes. 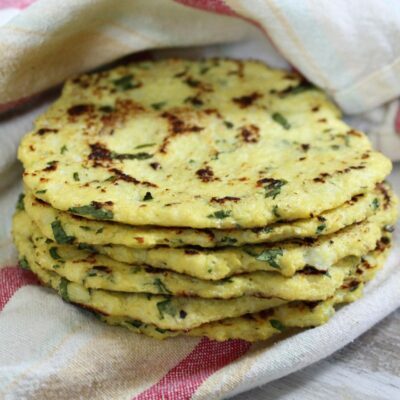 This can be done in a food processor, blender, or with a plastic bag and rolling pin. Crush them to crumbs but still have some small flakes. 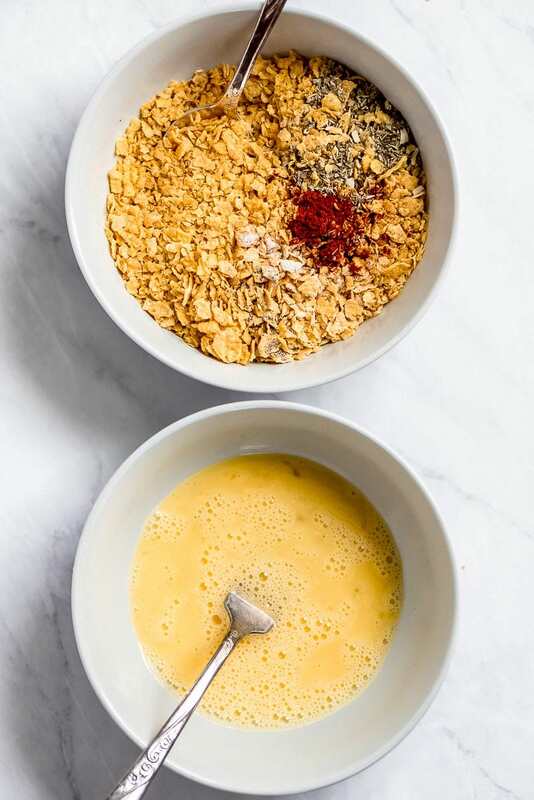 Mix the cornflakes with the spices. In another bowl, beat the eggs. Before dipping the chicken, pat it dry with paper towels. This helps the egg to stick better. Dip each chicken breast in the beaten eggs and then press into the cornflake mixture. Flip and press again. If you didn’t get full coverage, keep pressing and flipping. 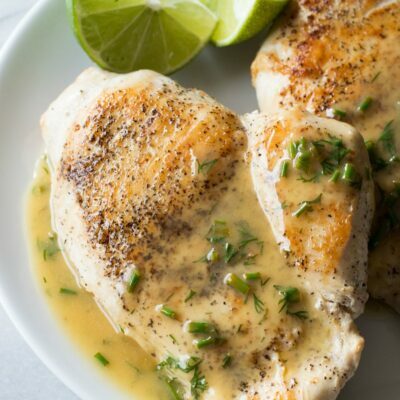 Place the chicken on a baking sheet or in a 9×13 inch baking pan and bake for 25 to 30 minutes. 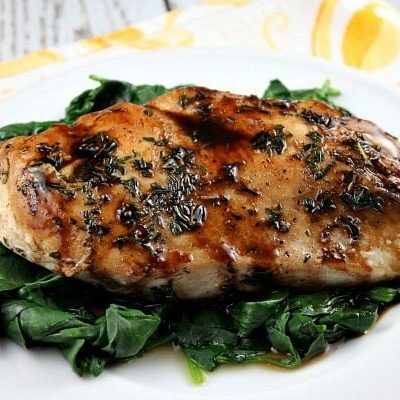 The cooking time will depend on the size and thickness of the chicken breasts. The first step is prepping the chicken. To make sure that the chicken breasts cook evenly, pound down the thicker end. You can do this with a meat mallet or a rolling pin. Pounding the chicken also tenderizes the chicken by breaking down the connective tissues. Coating the chicken helps to seal in the chicken juices. 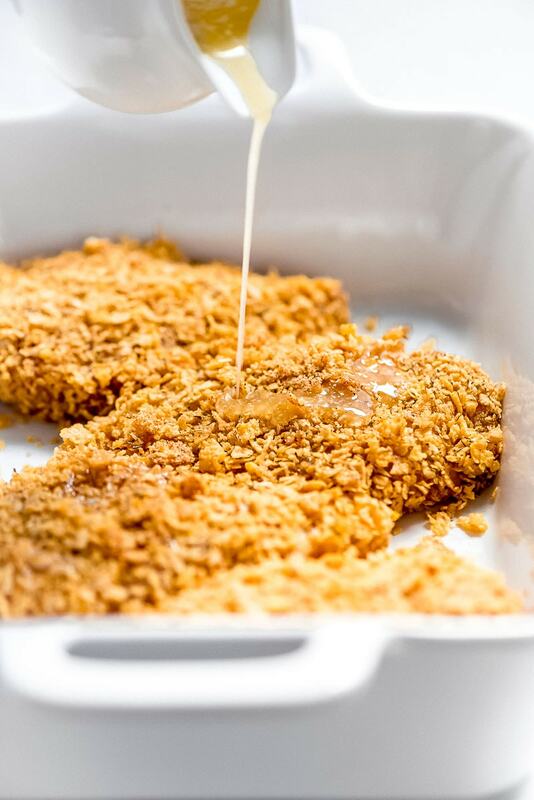 By dipping the chicken in the egg and then adding a thick coat of cornflakes, you are helping to keep the chicken juices sealed in. 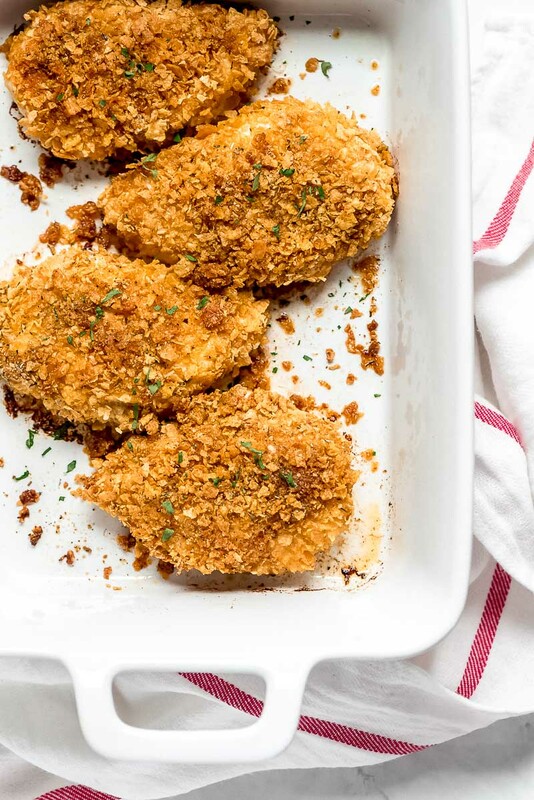 To shorten the cooking time, you can pound the chicken thinner, slice the chicken in half, or cut it up into strips about the size of chicken tenders. Depending on how thick your pieces of chicken are, your chicken will be done around 20 minutes. 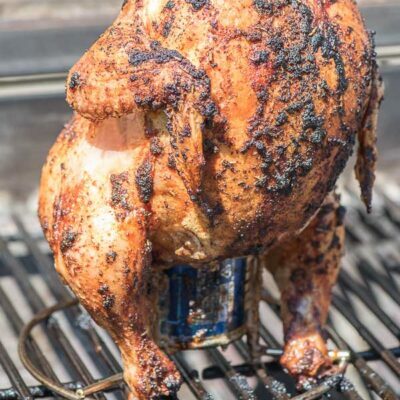 I recommend using a meat thermometer to ensure chicken is cooked to the safe temperature of 165 °F. Yes! 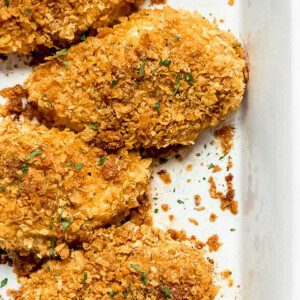 The cornflakes create a perfect crispy coating, but if you don’t have them you can substitute with Panko breadcrumbs or crushed crackers. Place the cornflakes in a Ziploc bag or a food processor and crush into crumbs/small flakes. Mix in a bowl with Italian seasoning, garlic salt, and black pepper. Whisk the eggs in another bowl. Pat the chicken breasts dry with paper towels. Dip each piece of chicken into the egg and then press it into the cornflake mixture, flip and press the other side. You may need to repeat pressing it in the cornflakes to make sure it is completely coated. Place the chicken in a greased 9x13 inch pan or on a baking sheet. 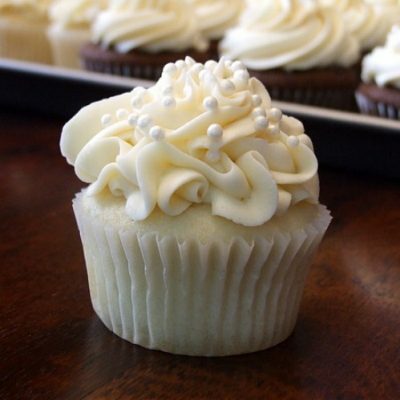 Drizzle the butter over the top. Bake for 25 to 30 minutes or until the internal temperature reaches 165 °F. 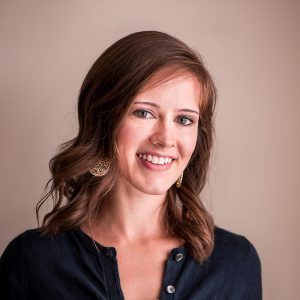 Melanie is the cook and photographer behind the blog Garnish & Glaze. When she’s not playing princesses with her little girls, she’s experimenting in the kitchen. 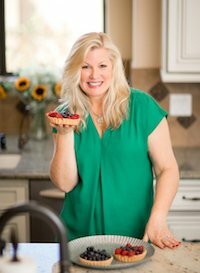 She takes simple ingredients and creates everything from easy healthy dinners to indulgent desserts.